This rhyming picture book is a parable of the power of vision, trust and forgiveness. 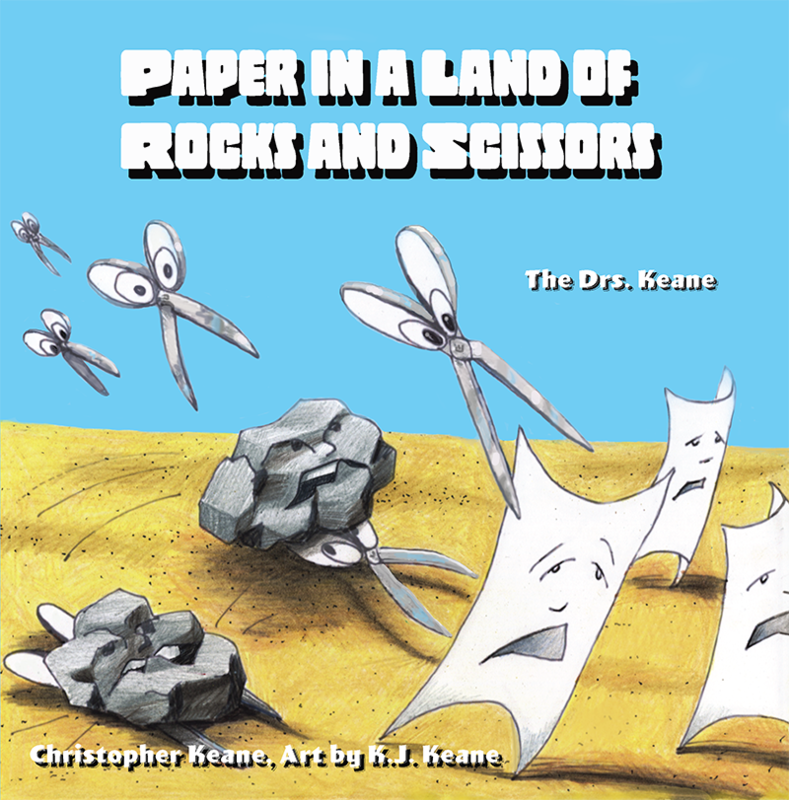 The quirky characters are caught up in this endless cycle of troubles, rock flocks vs. paper packs vs. scissor swarms. Eventually they take a bird’s-eye view of the global patterns, and learn to cooperatively problem solve. Available on Amazon and Kindle, and included in our subscription package.